Black Friday 2018 is officially on! 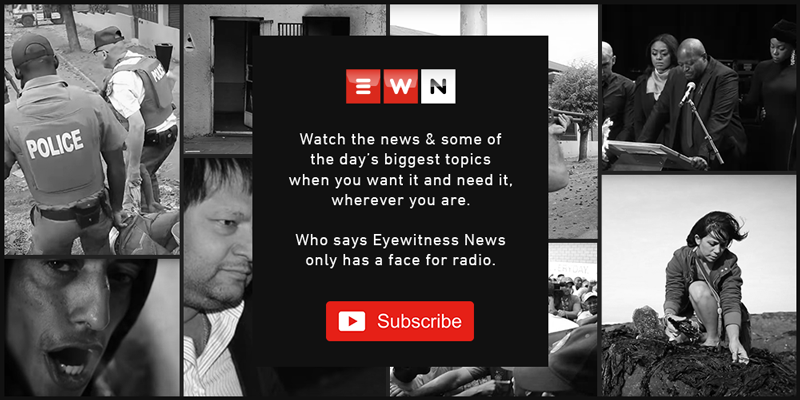 Stay with EWN's live blog to follow all the happenings from around the country. Black Friday for school? Sounds like a plan. #BlackFriday specials on school fees for the following year? A need. Lol, the people really want petrol Black Friday. WWF raising awareness for the environment. While some shops have calmed, Woodmead in Joburg is still looking crazy. Books lovers, here's something for you. A shopper with his shopping. vs a shopper with no luck. The Western Cape premier has some advice for shoppers. A good lesson to remember this Black Friday: "Bargains" don't get you out of debt. They push you deeper into it. Black Friday is great for the "big ticket" items you have been SAVING for all year. Best way to save money today -- get your loved ones to hide your credit cards. Still a looong queue at Nike in CT.
Are your Black Fridaying? Vote in our Twitter poll. Looks like all the positive vibes are in the the cape today. Oh no, Game Empangeni. What happened here? Sowetans did their thing too. [WATCH] Nhlanhla Kodisang of Klipspruit, Soweto, says she arrived at the mall by 6am. Among other things she bought, 4x camp chairs, irons, sowing machine and carpet. Toilet paper clearly is the winner. Nothing beats being done shopping by 9am. Hold on, somebody came in their pyjamas? This shopper says she got herself toilet paper and nappies. Online retailer Takealot has allayed credit card shopper's fears over a glitch with their site this Black Friday. There haven't been many reports of total chaos this morning. It really looks like shoppers have behaved. [WATCH] Take a look at what EWN's Kaylynn Palm got up to early this morning for #BlackFriday. Hundreds of people queued outside the Canal Walk Shopping Centre to be the first to get their hands on Black Friday deals. Over in the US, one shopper even met a potential date. Game Maftown not looking too bad. While others are shopping, others are winning. Imagine a pay day Black Friday. Never! [IN PICTURES] Black Friday shoppers in Joburg and Cape Town. Toilet paper really is a a Black Friday. Cape Town was not here to play. Guys!!! What in the world??? Even concert tickets are having a Black Friday sale. Thatha Cassper! Safety, safety, safety! Very important. Doors reportedly broken already. Yikes! Good to see staff are being taken care of. They're working so hard today. Can we just talk about a Black Friday for petrol? Please. Meanwhile, in online shopping land. Things seem not to be going well. Shoppers have complained on webistes crashing just minutes into sales opening. Limpopo stand up! Here's what's going down at Checkers Tzaneen. Not everybody is feeling the Black Friday mood, clearly. Hayibo! Is it New Years eve already? A whole countdown at Mall of Africa!!! Checkers Sandton shoppers entering very calmly and orderly. Nice! Checkers Sandton City shoppers wait patiently in the queue. Checkers and Pick n Pay in Cape Town are just about to open. What were you doing today at 2am? These guys were grabbing TVs. Calmly, slowly with smiles on their faces. This how customers at Game Canal Walk walked in at midnight. Issa mood! Look at these Game staff members gearing up before stores opened at midnight.